Benjamin Franklin was an amazing American. An inventor, writer, statesman and printer, he was also one of the first to create an endowment for the benefit of his community. In his will, Franklin gave 1,000 Pounds Sterling each to the cities of Philadelphia and Boston. Franklin left specific instructions about how the money should be invested, and then used for the benefit of the community after 200 years had passed. In the early 1990s, a portion of that money came to Berks County Community Foundation as its first bequest. Of course, we never had a chance to thank Dr. Franklin for his generous gift, which we used to create the Ben Franklin Trust Fund. The fund makes annual grants in Franklin’s name for educational initiatives. We’d like to be sure to thank you in advance if, like Dr. Franklin, you’ve left a bequest for the benefit of your community through the Community Foundation. To that end, we’ve established the Franklin Society to honor those who include a gift that will come to the Community Foundation through their will or other deferred giving vehicle. To learn more about the Franklin Society, call the Community Foundation at 610-685-2223 or complete the Enrollment Form and mail. The Franklin Society is a list of people who named Berks County Community Foundation as the beneficiary of any type of planned or deferred gift … and who choose to be listed. The purpose is to develop a large list that will encourage others to do the same. Franklin Society membership is self-reported. We know many others who included the Community Foundation in their estate plans, but who choose to remain anonymous. Thus, they will not be members of the Society. Joining the Franklin Society requires two steps. First, arrange for a planned gift in favor of the Community Foundation. Second, inform the Community Foundation by submitting the Franklin Society form. There is no minimum deferred gift amount to qualify. The only qualifications are that you’ve made the necessary arrangements and are willing to be listed. Franklin Society members may designate the use of the distributions from their future gifts, or may leave the distributions to the discretion of the Community Foundation’s board of directors. A Franklin Society gift of more than $10,000 may be used to establish a new fund with a name of your choice. Gifts of less than $10,000 may be added to any of the Foundation’s existing funds. We don’t ask how much is being left to the Community Foundation. We encourage donors to discuss their gifts with us to make sure we can comply with their wishes, but this is not mandatory. Bequests are the most common method used to leave a gift to the Community Foundation. However, we also know of people who named the Community Foundation the beneficiary of 401 K/IRA plans or insurance policies, established a charitable trust in favor of the Community Foundation, or used other methods. All qualify a person or couple for membership in the Society. We will list the Franklin Society members in our annual report and other publications as appropriate. We hold a special reception just for Franklin Society members each year. Society members are invited to all other Community Foundation events. 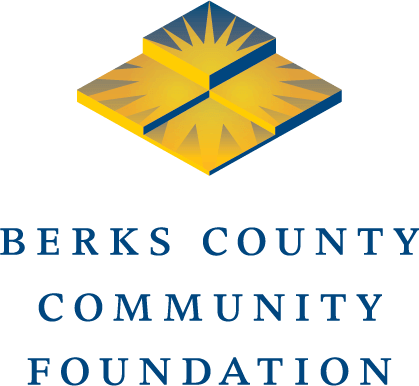 Finally, as you structure your estate plan, please consider making a gift to support Berks County Community Foundation. The Foundation uses these discretionary funds to address the most pressing issues in the community at any given time, thus creating a better future for all of us.